Farm to school has a long history in Washington State, going back to before the year 2000. In 2008, the Local Farms Healthy Kids Act established a Farm to School program at the Washington State Department of Agriculture (WSDA). WSDA Farm to School and many partner organizations worked with farmers and school districts across the state through trainings, workshops, and networking to grow farm to school in the state. At least 100 school districts in Washington are participating in Farm to School activities thanks to local and regional work and support. In 2015, WSDA hosted a Farm to School Summit with many local and regional partners, supported by a USDA Farm to School Grant. A statewide monthly coordinating call started after of the 2015 Farm to School Summit and was held through June 2018. 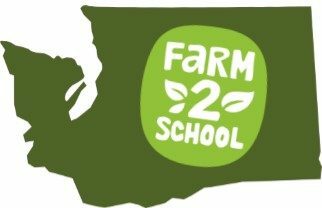 Realizing the great potential for more peer to peer networking and connections statewide, farm to school partners asked WSDA to apply for a USDA Farm to School Grant in December 2016. The grant was awarded to WSDA Farm to School and work began on the project in August 2017. Non-profit and agency partners established a Network Formation Committee to meet and develop a network prototype, gather input from stakeholders, and organize a Washington State Farm to School Network Launch Summit. Forty school nutrition staff, school gardeners, farmers and food producers, early childhood education, educators, statewide agencies and associations, non-profits, and other organizations gathered in Ellensburg, WA on May 4, 2018 to launch the network and grow farm to school in Washington State. Read the Launch Summit Results here.